Heacham Manor Hotel is a beautifully renovated 16th century carrstone farm house set in a lovely quiet location just a short walk from the main village of Heacham, and just down the road from the bustling coastal town of Hunstanton. 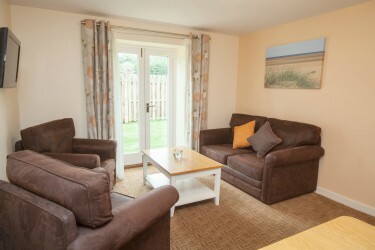 It’s also the perfect place to base yourself for bird watching or just visiting the wonderful North Norfolk Coast . But it’s not just one main building that makes up Heacham Manor Hotel. There are 45 rooms all together; 13 are in the main building, the rest are outside in cottages. These sympathetically built cottages and suites are perfect for families and those little creatures that you bring along with you on holiday – yes, your dogs! And on top of all this, you’ll be guaranteed to be met by the very cheerful and welcoming staff! The facilities on offer here are excellent. 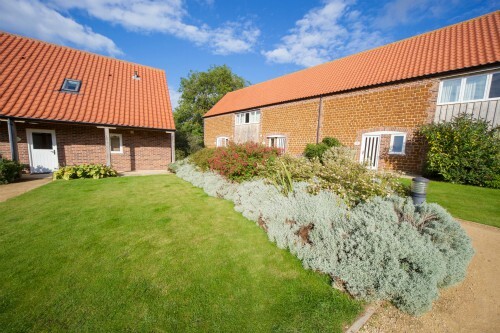 Samphire Cottages and Lavender Cottages are a stone’s throw away from the main building. A few of these cottages are dog friendly and this is where you can stay if you bring your pets with you. Perfect for just walking out of the door, onto the grass and through the golf course to the beach. It takes about a 20 minute walk to reach Heacham beach, what could be a more perfect place to exercise your dog, especially as the beach is dog friendly. As there are only selected cottage suites which are dog friendly, you will need to discuss your requirements with reception at the time of booking. 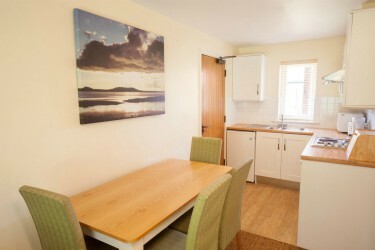 The versatility of the rooms in these cottages is a real plus for visitors. 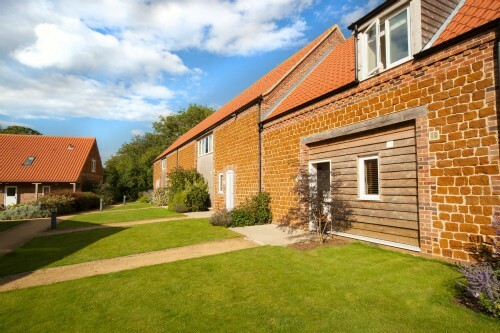 If you’ve got a large family and looking for hotels or accommodation in Heacham, why not take a whole unit in one of these cottages? You can sleep 8 people in a whole cottage suite - 2 standard twin or double rooms on the first floor of the cottage, and then a cottage suite on the ground floor which includes a master bedroom and a kitchen/lounge/diner with a sofa bed. Why not find out more details on the pet friendly cottage suites here? The hotel staff are very happy to arrange the room to fit your requirements. It's a perfect family friendly set up. You can even come and stay here at Heacham Manor Hotel on a self-catering basis. The great thing about doing this is that if you didn’t feel like cooking one night (don't we all! ), all you have to do is walk over to the main building and have dinner in the restaurant! So you get all the facilities of the hotel, but can do you own cooking if and when you want. This can only be booked by phoning the hotel direct though. The hotel provides dog treats for your pets, but they don’t provide dog beds, purely on the basis that most dog owners prefer to bring their own dog beds. We all know that our dogs feels more comfortable in their own beds. Water bowls are dotted around the hotel grounds and you’ve got a lovely walk (on a lead) cutting through the golf course and then onto Heacham beach. If you want some more ideas for some walks, here are 4 ideas very close to the hotel. You’ll also find grassy paths at the side of the hotel which have been mown; another perfect place to walk your dog. 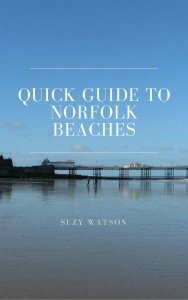 And don’t forget you’ve got many dog friendly beaches and pubs in Norfolk, so this is a great place to base yourself. It’s a very dog friendly hotel, although I must mention that they aren’t allowed in the main building. However, this hotel thinks of everything, and because of this, they offer complimentary room service! Breakfast, lunch and dinner. This is one of the few hotels, if not the only hotel in Norfolk that provide room service for you if you have brought your dog along – and the service is definitely with a smile; it’s all part of the service. If, on the other hand, you did feel you wanted to eat in the restaurant, you are allowed to leave your dog in your room. 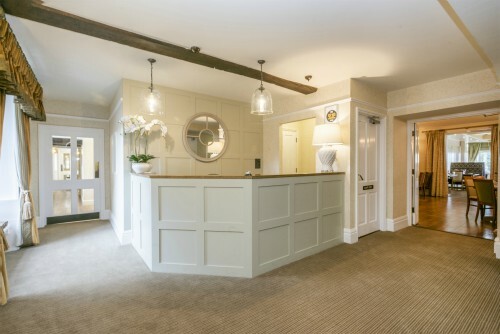 The rooms in the main building of Heacham Manor Hotel are known as "better standard rooms" in that they offer unique décor, bathrobes, slippers and digital radio, but it’s all very personal as to what you may require. As these rooms are so different and unique, do check when you book and find out what would suit your requirements and which you’d prefer. You could also have one of these rooms as a bridal suite as the hotel offers you the chance to get married here too! When it’s time to relax, you can go down to the bar and sit by the fire (if it’s winter!) 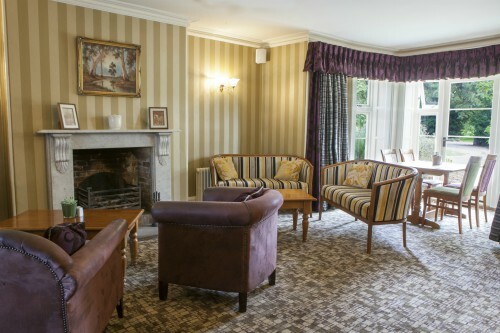 or just enjoy the comfortable chairs in the drawing room with a few board games to hand. And if you get too cold, just pick up a fleecy blanket that sits in the wicker basket in the bar area and put over your legs! They really do try to think of everything to make your stay enjoyable. In the summer, why not sit on the terrace and watch the golfers try to putt on the 15th hole just below the hotel. They won't thank you for watching, but that doesn't matter!! The bar serves ales, draft and bottled beer as well as wine, cocktails etc. And if you wanted a change one night, you can just pop over to the Avocet bar, a short 2 minute walk from the main hotel. It’s usually open until dusk and is the proverbial 19th tee so you’ll often find golfers having a bevvy after their round of golf. It does also have Sky TV so no need to miss any important sport if that’s you! The food comes with the highly acclaimed 1 Rosette AA award which you eat in the dining room/conservatory in the main building. In the day it's a lovely light and airy room with large windows, and also has a nice touch with one of the walls laid bare to the local carrstone brick. 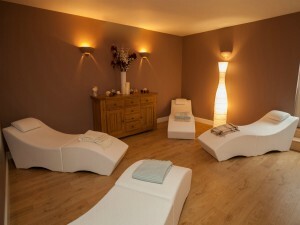 Maybe you feel like a bit of pampering in the Spa and want to have a Spa break on the beautiful North Norfolk coast. 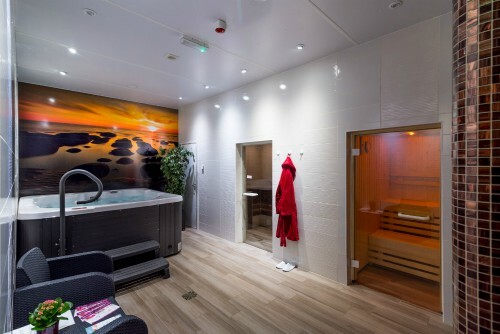 Heacham Manor provides excellent tailor-made spa requirements to your particular needs; manicures, pedicures, massages, and there's a steam room and thermal suite - just book your treatment, relax and enjoy! You don’t need to be staying at the hotel to enjoy this facility either. Check out more details on the Spa facilities here. 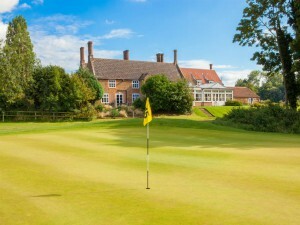 Did you know that Heacham Manor is one of only a handful of hotels in Norfolk which has a golf course, and has also been praised as one of the Norfolk’s most exciting clubs? With excellent packages on offer, it’s definitely worth taking a further look here. 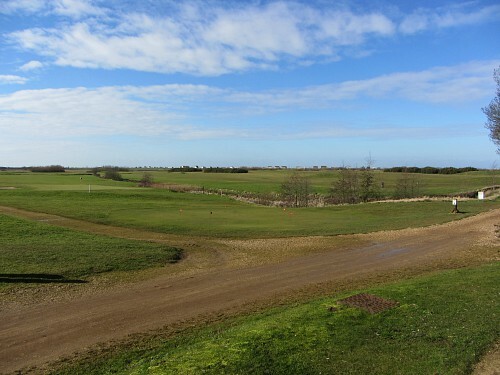 It’s still a young course built in 2009, designed in a links style around the natural environment. This obviously means that there are various hazards (surprise, surprise! ), such as 2 rivers and 4 lakes which makes for fun hitting, so make sure you’ve got lots of balls. It's a great course (yes I have played on it numerous times) and as with all coastal golf courses, if it’s windy, you’ll know about it! It has a lovely clubhouse bar, The Avocet Bar, for a drink afterwards. 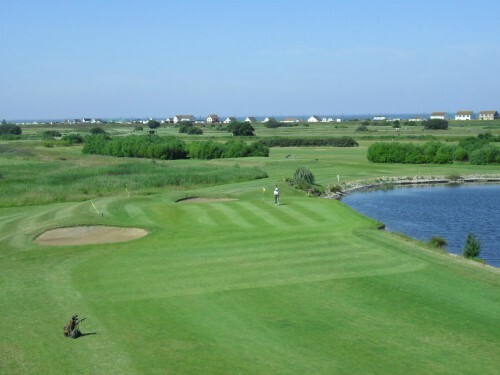 It’s the perfect place to base yourself, as the packages mean you can stay and play on the Heacham Manor golf course as well as play on other fantastic golf courses nearby that can be arranged, such as King’s Lynn, Hunstanton, West Norfolk, Sheringham or Cromer. Again you'll need to speak to the staff about their offers. And as if all of the above wasn't enough - the hotel also offers you the chance to get married here. They have a licence to use the main hotel building, and with plenty of rooms for guests to stay in, it’s the perfect choice for your special day. 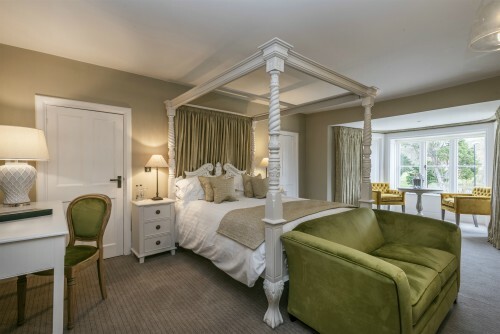 They have a bridal suite (Manor Suite) with has a four poster bed; (they also have two other rooms which have four poster beds - Manor Four Poster rooms), as well as 2 rooms with easy access. You can find out more about their wedding packages here. 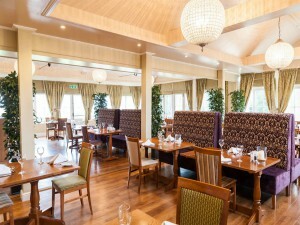 The restaurant and drawing room can easily be transformed to cater for your private functions too. And they have one specific room downstairs which can also be used as a small corporate meeting room. But the hotel definitely doesn't have the feeling of a corporate hotel at all. You wouldn’t even know, unlike some other hotels where its quite obvious it’s used for business meetings. All of these requirements should of course be discussed with the hotel staff themselves. 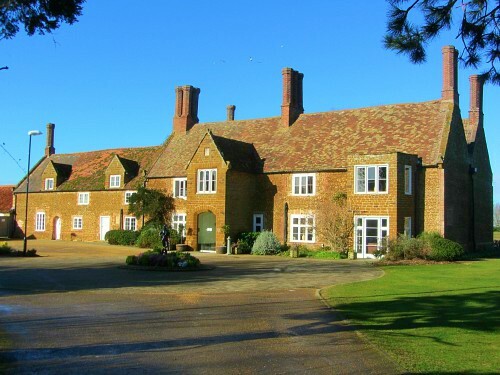 Heacham Manor Hotel is also a perfect place to base yourself if you’re coming to Norfolk to do some bird watching. Just down the road from the hotel is RSPB Snettisham where you can watch the wader spectacular and the flight of the pink footed geese (something you must see! ), and a little further along the coast is Holme Dunes Nature Reserve, RSPB Titchwell and Norfolk Wildlife Trust Cley Marshes. So it’s ideally situated for a short bird watching break. 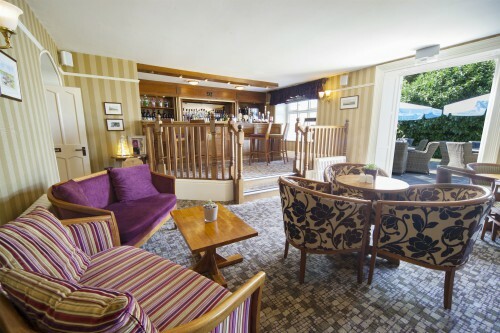 With so many places to visit locally, from bird watching, to golfing, to getting married, to walking, to holidaying with the children and/or your dogs, Heacham Manor Hotel really is a gem of a place to stay. 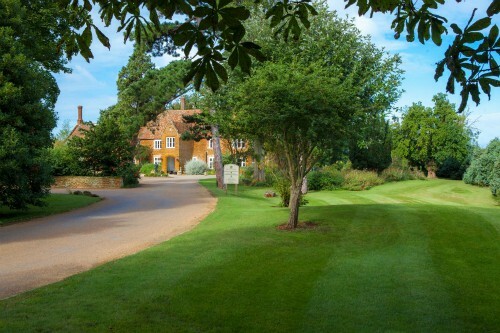 I think it’s unique in that it’s hidden away from the busier towns in a very good location, not on a main road and is surrounded by trees, gardens, golf course, peace and quiet, and offers everything you could possibly want from a stay in a hotel.